I am a Professional Santa Claus. Dedicated to All Children Young and Old who still Believe! We visit Nursing Homes and Shut-in's. 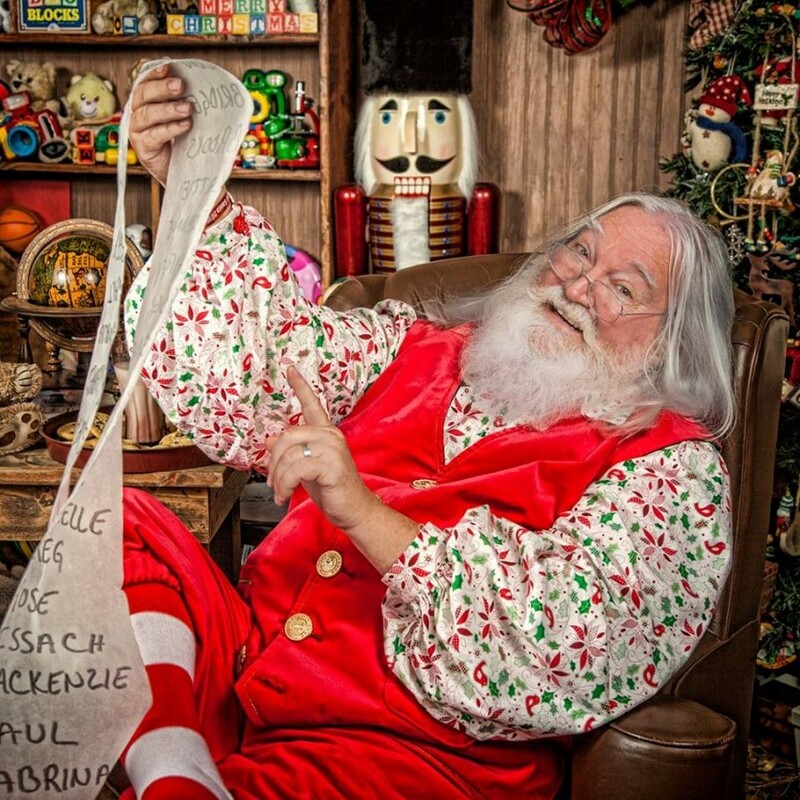 Children in Hospitals or on medical care at home are a Priority for this Santa Claus. 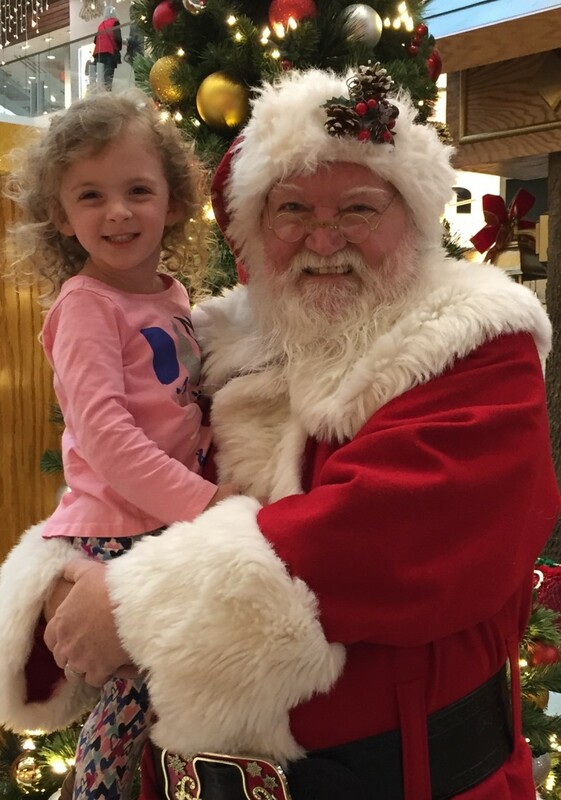 We schedule Children's Day Care events where parents can take pictures of their children with Santa in his "Big Chair". Convenient for working Moms who had rather avoid shopping malls. Not to mention the l-o-n-g waiting lines... and the expensive cost of having pictures made. For a VERY small fee, you can bring your own camera or cell phone and take all the pictures you want. I've been a professional entertainer since I was 15 years old. Playing guitar and singing has just been a part of everything I do. When I became Santa Claus it only seemed natural that I would sing and play Christmas music. Although music isn't a part of every occasion, It has been fun for the "Party or Corporate" event. Home Visits are Wonderful times for Children. A surprise visit from Santa Claus, with stories about "The Night Before Christmas", "The Littlest Snowman", and answering all their questions like, How do Reindeer fly?, or does Rudolph's nose really glow RED?, all lead to an experience to be remembered and talked about for months after Christmas, or even years when your children have children of their own. Photo shoots, or Mini sessions are also available to photographers looking for that perfect shot. Having a well dressed Santa with a REAL BEARD in a Custom Suit with Leather Boots, Custom Belt and Buckle is always a Plus for just the right picture for a memorable Christmas Card or Portrait. 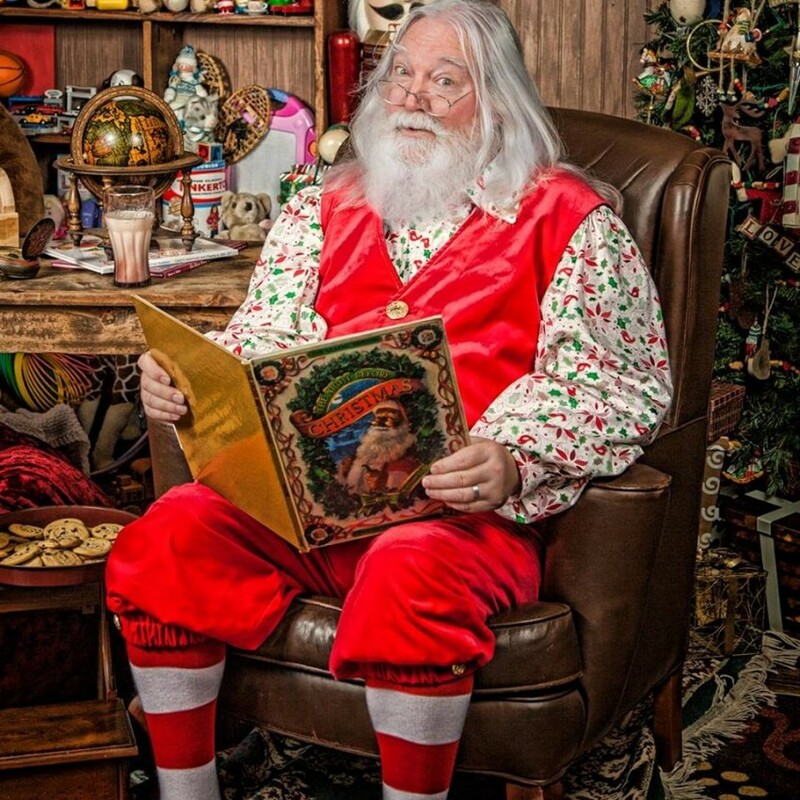 Do you need Santa's BIG Chair for your Event, or Photo Shoot? Just let me know, and for a small additional fee it can be provided.